New Delhi, Feb 13: In a bid to curb its anti-national activities, the Jharkhand government has banned the Popular Front of India or PFI. The government cited the PFI’s alleged links with outfits such as the Islamic State. New Delhi, Feb 08: The National Investigation Agency has seized and attached property worth Rs 7.23 crore belonging to operatives of the Tritiya Prastuti Committee operating in Jharkhand. The notorious Popular Front of India has been banned by the Jharkhand government on the ground that its members were influenced by the Islamic State. Yes it is true, this man in Jharkhand who has a three room house with three fans, an equal number of tubelights and one television received a bill of Rs 3,800 crore towards electricity charges. Two civil rights groups working for tribal people in Odisha and Jharkhand are acting as fronts for naxal groups, a report by the Union Home Ministry has said. The two groups were using displacement of local communities as their main plank, the report further stated. Was an al Qaeda cell helped by naxals in Jharkhand? New Delhi, Mar 14: Was a cell of the al-Qaeda in the sub-continent (AQIS) operating in the jungles of Jharkhand with the help of naxals? The Delhi police recently bust a module and carried out nation wide arrests stating that a cell of the AQIS was trying to set up shop in India. There were arrests made in Bengaluru and Odisha and the police had claimed that these clerics had not only brainwashed youth, but were also facilitating terror camps. Author Vicky NanjappaPosted on March 14, 2016 Categories TerrorismTags Al-Qaeda, aqis, Bengaluru, Jharkhand, Naxals, Odisha, oneindia.com, Vicky NanjappaLeave a comment on Was an al Qaeda cell helped by naxals in Jharkhand? 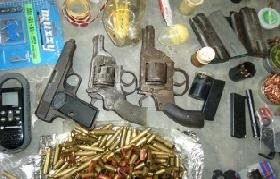 Palamu, Jan 27: Five police personnel have been killed in a Naxal attack at Palamu in Jharkhand on Wednesday. Six others have been injured. Investigating Agency has unearthed a major training camp being conducted by the Jamaat-ul-Mujahideen, Bangladesh (JMB) at Jharkhand. The arrest of Sadik alias Raihan Shaikh in a joint operation by the NIA and the Jharkhand ATS has thrown more light on the extent of training camps that the JMB was conducting in Jharkhand. 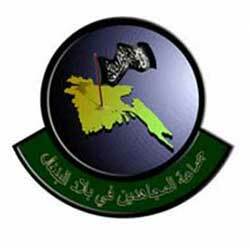 The National Investigating Agency has found more evidence to suggest that the Jharkhand module of the Jamaat-ul-Mujahideen, Bangladesh was in fact an extremely dangerous one. The questioning of two operatives that it picked up yesterday has revealed that they had trained over 200 persons and each one of them was ready to carry out a strike as and when called upon. The module which was set up in Sahibganj in Jharkhand was a strategic location for the JMB since it was around 250 kilometres from their primary module n Burdhwan. This module in Jharkhand was not just restricted to the JMB, but even members of the SIMI were part of it which only made it deadlier in nature. The busting of this module comes in the wake of a recent Intelligence Bureau alert which had warned that groups such as the SIMI along with naxals will try and disrupt elections to be held in the state. During the questioning of two persons Shaikh Salahuddin and Jahangri Khan who were picked up by the NIA, it has been revealed that they played an active role in the activities of both the JMB and the SIMI. Salahuddin is a fake doctor while Khan a religious scholar and the duo confessed to have operated out of a Madrasa in Sahibganj which was in turn connected to the module in Burdhwan. Further the mastermind of the JMB, Sajid who is in the custody of the NIA at the moment too spoke about this Jharkhand module which according to him had trained over 100 youth. He also confessed that he himself had got trained in this module before which he headed out to Burdhwan and set up the rest of the modules. NIA officers say that the module in Jharkhand was used by the SIMI as well. This is an indicator that the SIMI and the JMB were working on the project together. The last time the name of the Jharkhand module had come to light was when the NIA was investigating the Patna blasts. The SIMI operatives had confessed to having used the Jharkhand module for their operation and also said that several of its operatives were launched out of this module. 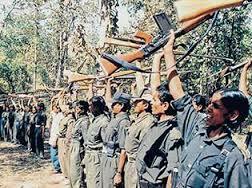 Even as the government struggles to fight the naxal menace, the strength of this Maoists has grown considerably over the past three years. Today as per an estimate put out by the various security agencies there are 23000 naxals operating in all parts of the country.